Precision Decorating - Painter/Decorator based in Bournemouth, Dorset. 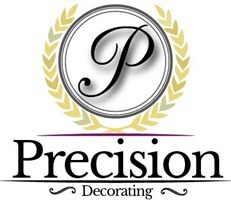 Precision Decorating was established back in 2007. We specialise in high quality decorating for large and small domestic properties, office blocks, hotels, barn conversions, new builds and much more. We look at the detail, creating not only a lovely finish to any property, but a precision finish. We work with all our clients to ensure a smooth, fuss free experience, because we understand that our clients look for as little disruption as possible. "From the moment we meet, to the second we complete", we ensure a clean and tidy service. Keeping our clients up to date, step by step, ensuring peace of mind and a stress free experience. Over the years, Precision has worked on some amazing projects from VIP homes, to new state of the art hotels. We are fully insured and carry an up to date Construction Skills Certification scheme card, Pasma and Ipaf. We supply all of our own safety equipment and PPe for any job. Need more information or would like a quote? Please contact Nick on the above details.